As adorable as a truck-themed party might be, I literally have nothing in my house in the proper colors or themes, so I would have to buy everything. Instead, I stick to colors/themes that go with what already exists in the house. I have a beachy, California contemporary vibe going on at my place, with grays, blues and greens, so anything in those colors fits in nicely even without too much decorating. Minimal effort required when the theme blends with existing decor. The last two parties I threw, I decorated only the kitchen. I set out all the food and drinks there, so people did spend quite a bit of time there. Sometimes I might add small flower arrangements on tables or a few balloons to tie in the theme to another room, but no one really notices that only one room is decorated. 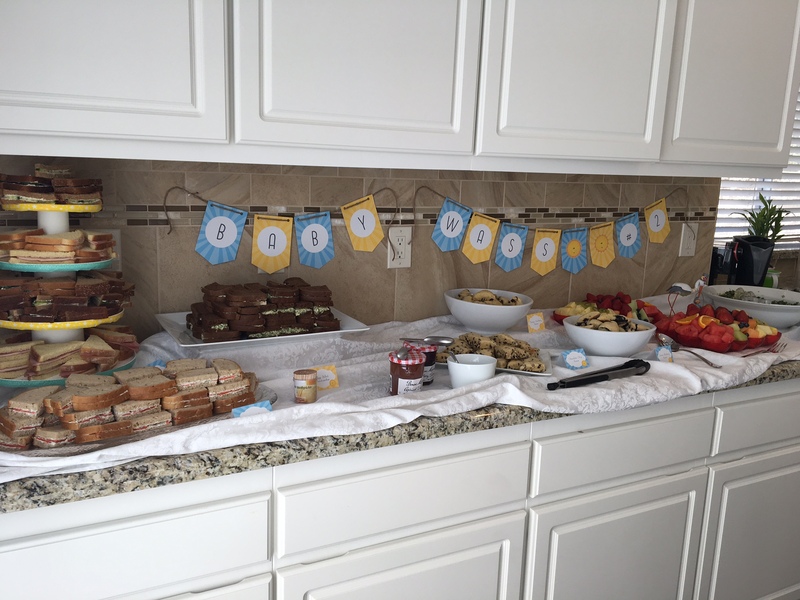 Last month, I hosted two parties three weeks apart–my son’s first birthday and my sister’s baby shower. 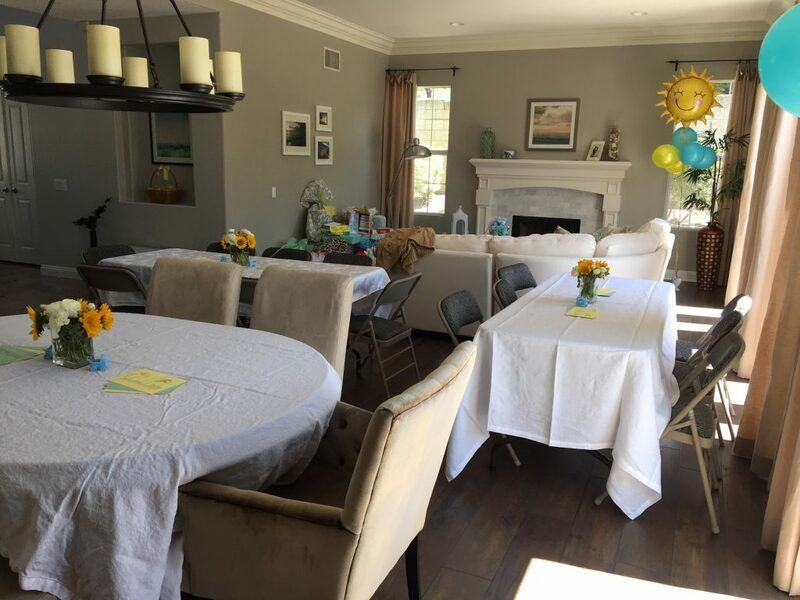 I chose a You Are My Sunshine theme for my son’s birthday and started thinking that same theme would be just as sweet for my sister’s second son. I did ask her if she was okay with the recycled theme, but since the only people who would be at both parties was our immediate family, I saved myself money and time using the same theme. To save money, I purchased an editable PDF package through Etsy so I could change some details and print again for the baby shower, and a few cute, themed paper goods. 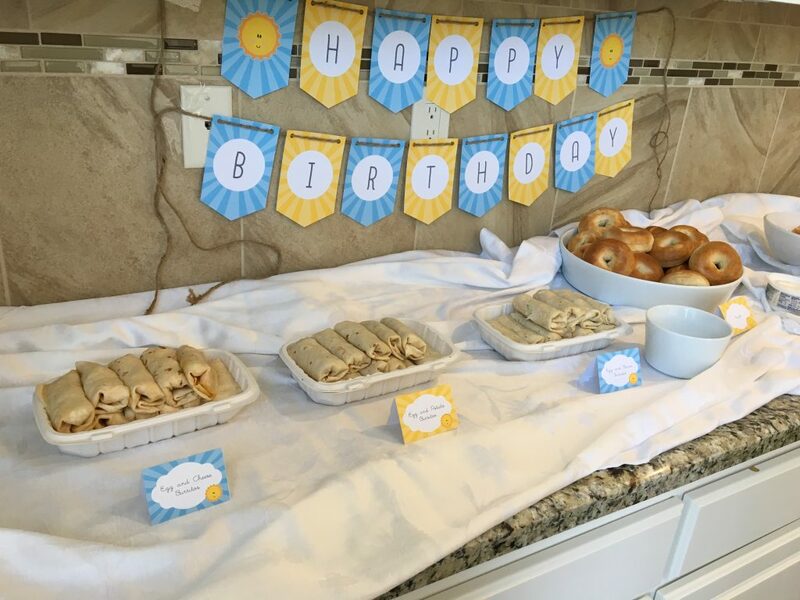 Instead of buying enough for about 75 people between the two parties, I bought a pack of 20 sunshine paper plates and cloud napkins, set half out at each party as decor, and used regular paper goods for actual use. My next planned two-for-one is luau-themed decor from a going-away party I threw last summer, which I plan to reboot as my daugher’s “Moana” 4th birthday party this summer. Party number one: First birthday. Party number two: Baby shower. Look familiar? I mean this in the nicest way possible. 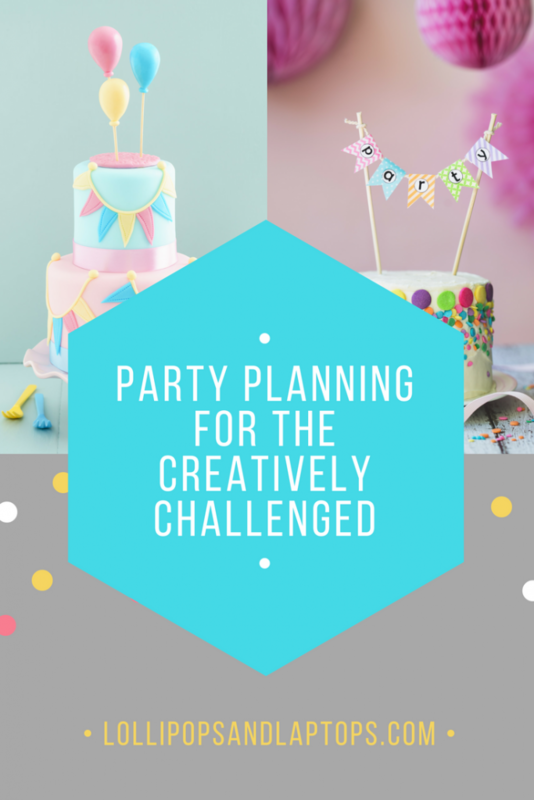 Sure, people fawn over these gorgeously decorated parties–I know I do. But I doubt anyone really cares if your decor is sub-par. And frankly, if they’re going to judge you based on the amount of time and money you spend on your party, maybe keep them off next year’s guest list? My new HAPM attitude has removed so much stress, allows me to focus on my guests having a good time, and you know what? Despite the simpler themes, everyone still has a good time, and I’ve even still gotten compliments on the decor. LOVE this!!! And to the “nobody cares” point, I’d add: nobody notices! I was at BOTH parties (mama to be guest of honor at the second) and only just realized the revamped decor when I see your side by side pics! So brilliant! I loved both parties and thought the decorations (from the view point of another not so creative person) were beautiful. You put so much thought into the food and the atmosphere and everybody had a wonderful time. I love HAPM!!! I swear you described me to a “T” as well! Thank you so much for honest posts. I enjoy feeling I’m not alone!! Keep it up! Love it! I’m right there with ya mama! We’ve done this the past two years and my husband and I both agree, we actually get to enjoy the parties we host so much more now! And he loves the lessed stressed wifey!